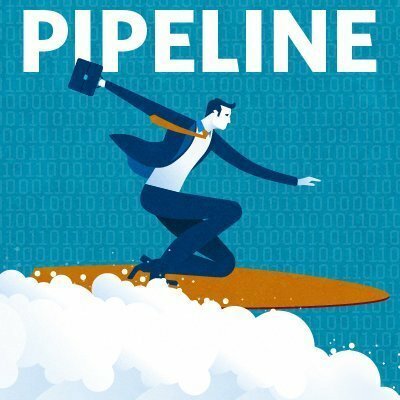 In this Pipeline podcast, we discuss what was a primary topic at Social Media Marketing World: how companies should interact with customers through social media. The growth of social media and how companies and brands should best use it to interact with customers were main topics of conversation at the sixth-annual Social Media Marketing World conference in San Diego. Conversing with customers through social media should be a top priority for brands -- regardless of whether the conversation is based on praise or discontent. Providing social media customer care can go a long way toward securing a customer's loyalty, according to speakers at the conference. "Don't be afraid of complaints," said Dan Gingiss, a marketing and customer experience expert and author of Winning at Social Customer Care. "They are not your enemy. The people you need to be afraid of are the people who didn't like your experience and moved on to your competitor without ever telling you." Social media customer care also extends to those consumers who are pleased with your products or service. You can use those interactions as examples for other prospective customers on social media. "I can't believe how many brands ignore people that compliment them," Gingiss told the audience at the conference. "Even a simple like or retweet will go a long way if -- for some reason -- you can't respond." I can't believe how many brands ignore people that compliment them. While much of the conversation during the week in San Diego centered on social media customer care, the technology supplementing social media was also discussed, including when to use chatbots and when to personally interact with customers. Using chatbots can help brands interact with customers outside of the crowded email inbox and, instead, through their websites or through Facebook Messenger, which has more than a billion monthly active users. "The problem with email is the inbox is crowded," said Andrew Warner, founder of Bot Academy, a chatbot development company. "Anyone can message you in email. But, in chat, no one can message you without your permission first." Chatbots aren't always the preferred solution when dealing with social media customer care, however, because a personal touch still goes a long way with consumers. "People buy from people," said Samantha Kelly, a social media strategist who goes by the Twitter handle @Tweetinggoddess. "Your customers are at your fingertips." Beyond chatbots, companies need to have a digital marketing plan in place that includes social media, but isn't limited to social media, according to Rich Brooks, president of Portland, Maine-based Flyte New Media. Brooks spoke to the audience about the importance of rounding out your digital presence. "Building a business on Facebook is like building a house on a landslide," Brooks said. "There is a lot that is out of your control." All of this and more is discussed in the latest episode of the Pipeline podcast. What is your company's social media strategy when interacting with customers?